Great family days out don’t have to cost the earth. And we think there’s better than packing up a picnic, getting outside and making the most of the warm spring and summer sunshine. 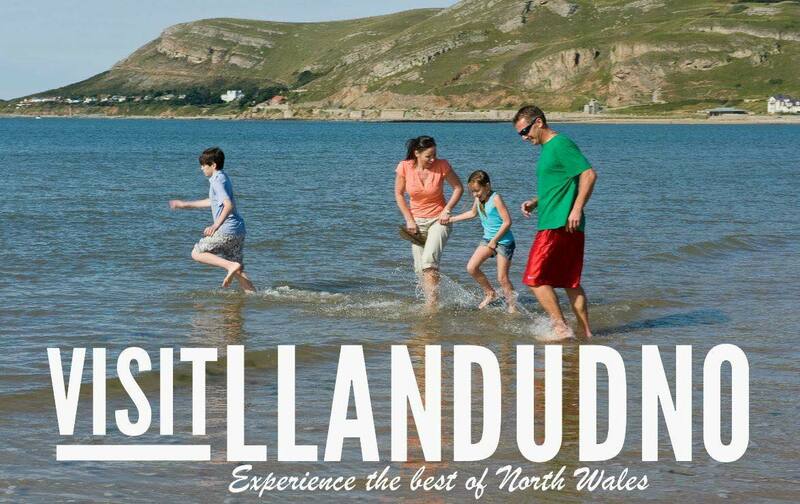 Whether you’d prefer to much on scotch eggs in the countryside or feast on pork pies on the sand, North Wales has oodles of beautiful settings to enjoy a meal al-fresco. 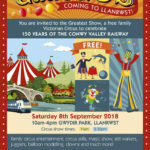 So dig out the picnic blanket and prepare the piccalilli – here’s our pick of the perfect picnic spots along the Conwy Valley Railway (plus some tasty local treats to add to your picnic basket!). If you’re picnicking with the kids, get yourselves up to Happy Valley. 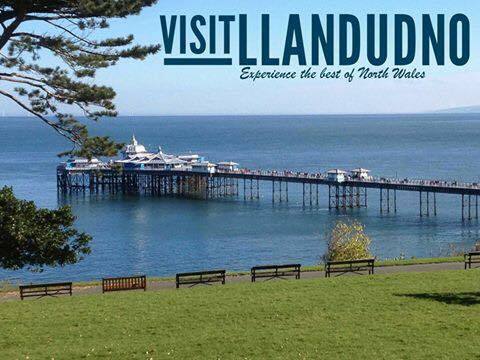 Nestled above the busy seaside town of Llandudno, the beautifully maintained park and gardens are filled with pretty spring flower beds and captivating sculptures of Alice in Wonderland characters. Why not take a trip on the famous Great Orme cable cars before settling down for a picnic to enjoy the lovely views over Llandudno Bay? The little ones will love it! Though the North Shore of Llandudno seems to take most of the attention, the West Shore is an unsung gem and often much quieter. Panoramic coastal views, sand dunes and a long, quiet beach? Check! It’s great choice for a peaceful picnic with a sea view. Our top tip? Visit later on in the day for a tea time picnic whilst watching the sun go down. Pop to The Ham Bone Deli on Lloyd Street in the centre of town before you head to Happy Valley or West Shore and pick up freshly made pies, cold meats, sandwiches and loads more picnic-worthy goodies! There’s not a more perfect picnic setting than Bodnant Garden! With nearly 80 acres of beautiful garden to explore, there’s endless places to smooth out your blanket and unpack your goodies. They’ve already picked out four perfect picnic spots for you on their blog, but our favourite is the Old Park meadow, filled with wildflowers and butterflies – a true slice of paradise. You can’t beat a cheeky gin & tonic in the sun, so why not treat yourself to a bottle of locally distilled Foragers Gin from down the road? Trust us, it’s incredible. 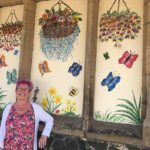 The grassy, tree-lined park in the heart of the Conwy Valley on the banks of the River Conwy is a fab place to settle down and have your picnic. During the summer months, the river itself can be great for the kids to have a supervised paddle, though be aware that sometimes the river can be quite high. From there, you can take a wander across the famous 17th-century bridge designed by Inigo Jones to wander around the ancient market town of Llanrwst. Forgot to bring a picnic? Stop by at nearby blas ar fwyd – this Welsh food hub has everything you could possibly need for a delicious picnic. 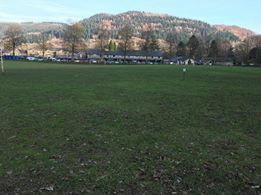 This lovely open field is right in the heart of one of the Conwy Valley’s most famous tourist hotspots, Betws y Coed. Unpack your picnic box and take a look around. You’ll see the beautiful Gwydir forest – just one part of 800 square miles of Snowdonia National Park. From the green, you’ll find the Conwy River just a short walk away with pathways to amble along and enjoy the scenic views. Betws y Coed is famous for its outdoor shops, cafes and spectacular surroundings – so you could easily spend a whole day here. Before settling down for your picnic, pop to local Cwmni Cacen Gri and get some mouth-watering ‘Griddle Fresh’ Welshcakes to devour for dessert!